Jamie Whincup’s troubled run at the Supercheap Auto Bathurst 1000 has continued, with a wheel falling off the #1 Red Bull Holden early in the 2018 race. Co-driver Paul Dumbrell was at the wheel and running second behind the Erebus Holden of Luke Youlden when the problem occurred on lap 40. 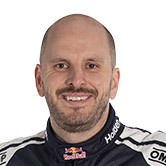 The right-front wheel parted company with the car approaching Turn 1, forcing Dumbrell to limp around the 6.2km layout on three wheels before pitting. The car did not, however, go to the garage, with the team completing a front brake rotor and splitter change before sending Dumbrell back out, just shy of two laps down. 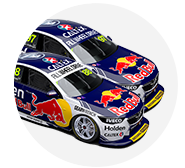 Whincup and Dumbrell entered the race as favourites, having dominated the Sandown 500 last month and qualified second for the Great Race. 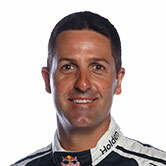 The Whincup/Dumbrell Holden was the third car to start from the top 10 and suffer dramas early in the 161-lap contest. Cameron Waters' Monster Ford lost 13 laps after co-driver David Russell was tagged by Tickford team-mate Chaz Mostert on lap 22. The Walkinshaw Andretti United Holden of James Courtney/Jack Perkins is meanwhile out of the race, pulling off on lap 34 with an engine failure.